Condemning the acid attack on a woman here, Head of the Women Wing of Aam Aadmi Party (AAP) Professor Baljinder Kaur today said that Law & Order situation in the state has stooped so law that women have been taken as soft target by anti-social elements and Government has proved failed on women safety. 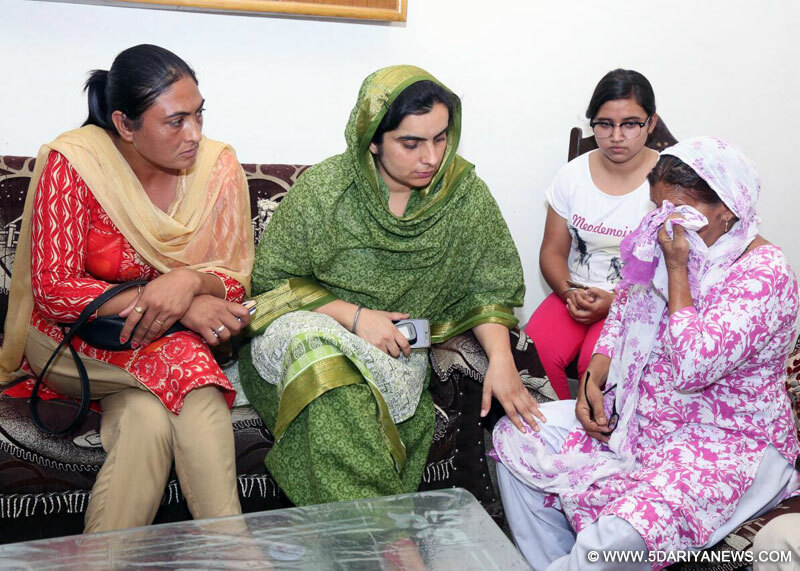 Prof Baljinder Kaur, especially visited the Sacret Heart Hospital here, where a victim of Acid Attack identified as Alisabha was recuperating from the burn injuries, she received in the attack. Some miscreants threw acid on Alisabha, wife of an NRI, while she was on post-dinner walk in front of her residence in Vivek Vihar locality of the city. Prof Kaur deteriorated in the Law & Order situation could be evident from the recent killing of Mata Chand Kaur of Namdhari Sect and fierce attack on Sant Ranjit Singh Dhadrianwale in Ludhiana and now the women also don’t feel secured in the state. Where is Harsimrat Badal, who claims to be champion of protecting the women rights? Where is her “Nanhi Chha”?, Baljinder Kaur quipped. She advocated immediate need of the implementation of guidelines issued by the Supreme Court on the issue of Acid Attack. She revealed that in Delhi Acid Attack Victim Watch Cell was constituted to provide not only financial help for treatment to the victims, but also to provide legal aid to take such cases to its logical conclusion. Family of the Acid Attack victim rued that no government official came to know about the health condition of Alisabha, who received severed burn injuries. Attackers were also yet to be identified by the Police, family rued.